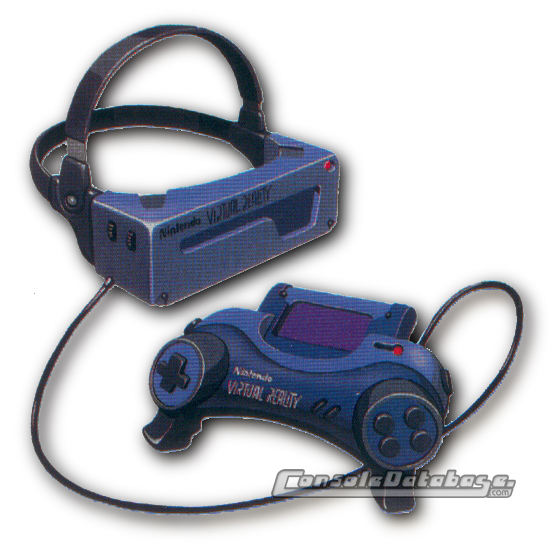 In the year before the release of the Virtual Boy, various rumours were spreading about a 32-bit console from Nintendo including one about a Virtual Reality console (see original concept here). On 15th November 1994, it became clear that this was Nintendo's Virtual Boy console when it was unveiled at the Shoshinkai Exhibition (Spaceworld \'94) in Tokyo, Japan. It was then released for sale in Japan on 21st July 1995 and in the US on 14th August 1995. The Virtual Boy was inspired by the experimentation that was occurring in the area of virtual reality around the mid-1990s (for example, Sega VR). It was designed by Gunpei Yokoi, the designer of Nintendo\'s very successful GameBoy and the Game & Watch series. He was able to achieve a 3D effect by projecting two separate images (one black and one red) onto two high-resolution mirror-scanning LED displays. These oscillate, giving a 3D effect by an offset in the relative position of each eye. The two screens run at 50.2 frames per second and the system includes 16-bit sound and a 32-bit RISC microprocessor. It is battery operated and has a specially-designed double-grip controller. Very few games were made for the system - there were many planned (approximately 34 others), but the system didn\'t do well on the market and so the games were cancelled. Another reason for this is because Nintendo wouldn\'t allow any third party producers to make games for the system in fear of getting poorly made games on the system thus giving it a bad reputation. While the systems sounds like a really good idea that would sell well (it was expected to do well, but didn\'t), many gamers complained of getting headaches after using the system, which gave it a bad reputation (parents feared their children would get eye damage. Note that the system is not to be used by children under seven). The way it was marketed also contributed to it being unsuccessful. It was not advertised much and at a cost of US$179.95 and ¥15,000 in Japan, many could not afford it. The competition from the Sega Saturn and Sony PlayStation didn\'t help either. Selling just under 60 million units worldwide, this was Nintendo\'s least successful console and cost Yokoi his job at Nintendo as he was forced to resign the next year after the 1995 sales figures became clear (Nintendo wanted to sell 1.5 million units in the first year, but sold only a little over half). Production stopped on the Virtual Boy at the end of 1996.